Every Monday we feature a mumpreneur just like you and me who’s ready and willing to open up their lives and their business to us. They share with us their motivation, their challenges and their proudest moments in business and they also tell us how they take time to nurture themselves. If you’re looking for inspiration, then our featured business mums show you what’s possible. I loved reading about this week's featured mumpreneur especially as she's all about Mamma Me Time! A girl after my own heart. I love everything they do and I'm sure you'll fall in love with them too. Story of Mum is a free online community that takes a gloss-free look at motherhood – boosting confidence and encouraging mums to let go of Bad Mummy guilt and carve out vital time for ourselves. 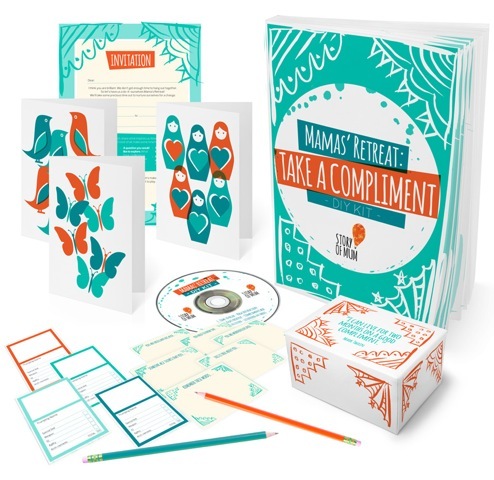 We’ve just hosted our first residential Mamas’ Retreat and have launched our first DIY Mamas’ Retreat Kit – a gorgeous digital kit containing everything you need to host your own Mamas’ Retreat for friends at home. We have monthly Make Dates on twitter where mums come together to share our stories and get creative. 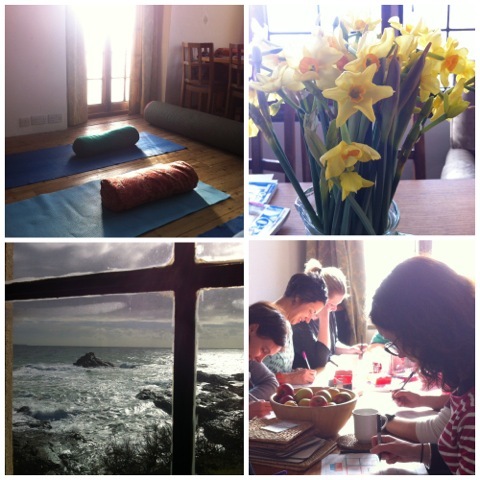 E-courses and online retreats are coming later this year, along with a series of workshops on and off-line. 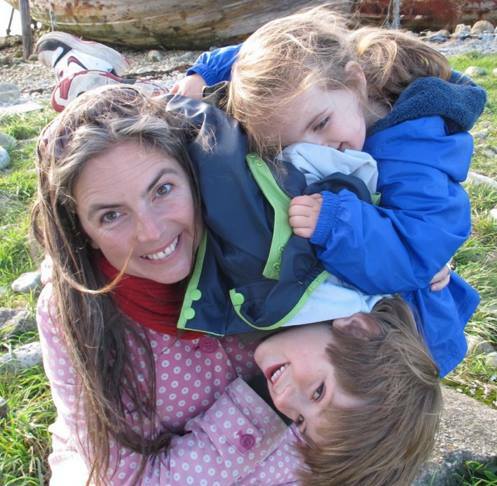 First up will be “Working Mama, Happy Kids” with Child and Community Psychologist Dr Emily Jane. What motivated you to become a mumpreneur? Being a mumpreneur is still very new to me. For most of my life, I’ve worked as a freelancer in film development and project management. I started Story of Mum as a little creative experiment alongside my ‘proper’ paid work, but the more it has grown, the more I have started to feel I’ve found my new calling. So this year, I’ve decided to turn Story of Mum from passion art project to business - so that I can spend more time on it, have a transformative impact on more mums, and support the work of others I really admire (we’re currently donating 10% of our DIY Mamas’ Retreat Kit sales to the Museum of Motherhood and Womankind Worldwide). What’s been your biggest challenge in business? Making money! Turning a voluntary and grant-funded project into something that generates income is my current big challenge. How have you overcome it? I’ve had to rethink what it means to be of service to others, and the different ways in which it can be possible to do that. And spend a long time exploring the right ways to monetize what we do without losing our heart and soul of the project. I’ve been blessed with some fantastic mentors who have helped me to slowly explore and overcome my money blocks and develop strategies that will allow me to serve more mamas who need it, building new Story of Mum products based on my core beliefs and passions. A great example has been the variations on the Mamas’ Retreat brand – I’ve embraced these projects because they perfectly support our vision of helping mums to take time to nurture themselves, get creative, and share their stories with others. The DIY Mamas’ Retreat Kit is our first online product that truly chimes with that vision and it feels like I’m putting a little piece of my heart out there – scary and exciting. What’s been your proudest business moment? Reaching 80% capacity sales of tickets for our first residential Mamas’ Retreat within a few days of launching it over Christmas! I literally saw a dream come true in a matter of days. It felt a huge risk to take up a last minute opportunity with a very special venue (a stunning listed building by the sea in Cornwall, also where I got married! ),and then to organize and offer the retreat within such a short time frame, but it completely paid off. It also felt great to have financial proof that a real market and need exists for what we are offering.Which has spurred me on to keep growing and developing all these new ideas. We’re on the right track! What’s your catchphrase or favourite quote? I always come back to the Marianne Williamson quote about not being afraid to shine. It pops up for me somewhere whenever I need to be reminded that I shouldn’t hide my joy and strengths. Shining is a marvelous encouraging thing, and we should all do more of it. This month I’m also being inspired by Benjamin Franklyn – as a little reminder to make sure I make time for myself; and a self-care encouragement to all mamas. To nurture our families, we must first nurture ourselves. What do you do to relax or nurture yourself? Getting creative is also a big part of how I relax. Running Story of Mum means that I have to come up with new quirky creative activities for mums each month – which means I have a gold-plated excuse to play and test all my ideas first. What was the last treat you bought for yourself? A coffee in the park – a precious quiet moment in the sunshine, listening to birdsong and leaves in the wind, looking out at seagulls and clouds being buffeted along, and supping on a latte. Bliss. Turquoise. The sea isn’toften turquoise where we live, but this colour reminds me of the sea, and how a few moments of looking out at it can both soothe and inspire me. I got married by the sea, in turquoise! Daffodils. They come up early in Cornwall, we’re very lucky – ours started to come through in February despite all the storms that have battered the coast – the UK’s largest ever wave was recorded off Penzance that week. What one piece of advice would you like to give to a new mumpreneur? Set a committed intention, throw your passion after it, and be ready – because amazing things can happen very fast! 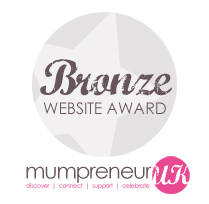 Fancy sharing your story and becoming part of our wonderful supportive mumpreneur community? Drop me an email over on the contact page – and I’ll be in touch. Or let me know in a comment below. Thank you so much for sharing my story here, Heather – so lovely to connect with you and other creative business-mamas. Some of our articles will contain affiliate links for recommended products or services. We may receive commission for any resulting sales. Thank you.